Tesla's pricing and other policies have the company being widely accused of "bait and switch" tactics. Here is a rundown of which media outlets and Tesla forums are using that harsh term. The term "bait and switch" has many specific meanings. When applied to the automotive industry it generally refers to the promotion of a vehicle at a low price to entice a buyer to take some action. After the buyer is drawn in by the scam price, the buyer is then subjected to an "upsell" attempt by the company with the intent of selling them a different, usually higher-priced model. What Is Bait and Switch From a Legal Standpoint? 3) Refuses to deliver the item within a reasonable period of time. What Are The Most Recent Bait and Switch Tactics Tesla Is Accused Of? 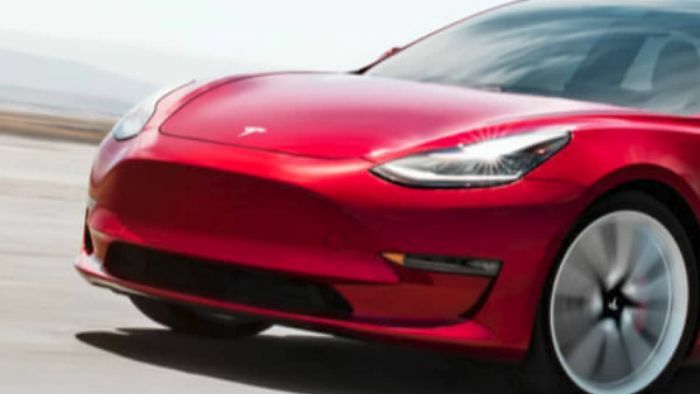 In February, Tesla announced that it had a new, "Standard Range" Model 3 car for sale at $35,000. In fact, a consumer must pay Tesla $36,200 for that model. Before Tesla even began sales of the model its pricing scheme was questionable to some, including this autowriter, who takes great care to include manufacturers' and dealers' delivery fees in any pricing mentioned in a review. When Tesla announced the pricing, the company also included an estimated delivery, saying that in "two to four weeks" orders placed at that time would be filled and cars delivered. That timeline has come and gone and none are reported to have been delivered. By our understanding, Tesla has thus violated part three of the Massachusetts legal definition of bait and switch. Tesla customers who tried to purchase a Model 3 Standard Range car have widely reported a strong, multi-effort "upsell" by Tesla's sales representatives. Those trying to order a Standard Range report being called, e-mailed, texted, and offered in person a Standard Range Plus or a Standard Range with a Partial Premium interior in order to get the vehicle in a timely fashion. Not sooner than Tesla promised, just within the promised timeline. This practice may be viewed by some as violating both sections one and two of the Massachusetts law. A Tesla employee phoned the author of this story and offered discounts on higher priced trims when we told Tesla we wanted to test drive a Standard Range Model 3 car. Who Is Claiming Tesla Engages In Bait and Switch Tactics? We have offered the opinion that Tesla's tactics seem to fit the description of bait and switch, but ours is just one opinion. To see how others are viewing the Tesla sales practices, we did a search using the keywords "Tesla Bait And Switch." What we found was interesting. Not only are mainstream media outlets like MSN, Fox News, and Fortune using the term in their stories and headlines, so too are automotive publications. Car and Driver as well as Top Speed and AutoSpies have stories with Tesla and Bait and Switch in the headlines. How Do EV-Advocates Feel About The Topic Of Tesla Bait and Switch? Electric vehicle evangelists, or simply, EVangelists, see a conspiracy behind any negative Tesla reporting. The common refrain is something to the effect of, "Another Tesla short trying to run the stock price down." This despite the fact that most writers now reporting on Tesla disclose if they have any stock or other stake in Tesla. Almost none do. One publication that does have an owner/writer with a stake in Tesla is Fred Lambert at Elektrek. Mr. Lambert is an avid Tesla advocate and covers the brand comprehensively. What does pro-Tesla Elektrek think about the topic of Tesla and Bait and Switch sales tactics? Here is one Elektrek headline from an editorial by Mr. Lambert: "Tesla’s autopilot bait-and-switch does a disservice to early buyers who took them at their word." It isn't just publications looking for pageviews that are using the term Bait and Switch along with Tesla. Both of the top Pro-Tesla forums, including Tesla's own official forum on its own website, have discussions of bait and switch ongoing. With so many news outlets, pro-Tesla publications, and pro-Tesla forums now talking about Tesla's apparent bait and switch sales policies it seems incredible that no state or U.S. federal attorney general has yet to take notice. Perhaps it is only a matter of time. In Germany, Tesla's policy of showing its prices including "fuel savings" has been ordered stopped by officials. Tesla's sales policies seem to have resulted in the negative term "Bait and Switch" being tied to the company. Our links above span two years and are not related to just one aspect of the Tesla sales model. It is hard to understand how a company that told us it would be different from the evil car dealers we all know and dislike can willingly do so much damage to its own reputation. So many of us expected so much more from Tesla. Author Note: Like almost every other writer, the author owns no Tesla stock and does not "short" any stock from any company. Ultimately I think that it depends on how long it takes before the delivery of the $35K models commences in the U.S. I do not think that the $1200 delivery fee is an issue because almost every car dealership that I have been to has additional items listed above the MSRP. In fact if you go to most any automaker website and do a Build and Price of a car and in the Summary there is a +/-$1000 destination charge listed. However because I actually live near the Fremont factory I do believe that the delivery cost should be less if you pick the car up yourself from the factory. As far as up-selling goes, at most auto dealerships they have an inventory of cars and most of them are loaded with options on the sticker. So you only have the choice to buy the more expensive models that are on the lot, and end up haggling with the salespeople and sales manager to try and get a discount on that higher price. Or go to another dealer, or online broker which takes more time and effort. So except for the Tesla "After Savings" pricing ploy that we both agree should be removed from their website, they are being more straightforward with their pricing than traditional sneaky auto dealer sales tactics.